Does a career of saving lives and ensuring the comfort of your community appeal to you? How about gaining the respect of everyone in your community, and on top of that actually deserving the respect you receive? You will accomplish these things by pursuing a life as a firefighter, one of the most dangerous yet rewarding life paths out there. I have outlined everything you need to know to get a grip on the career and lifestyle that comes along with being a firefighter in this comprehensive guide. 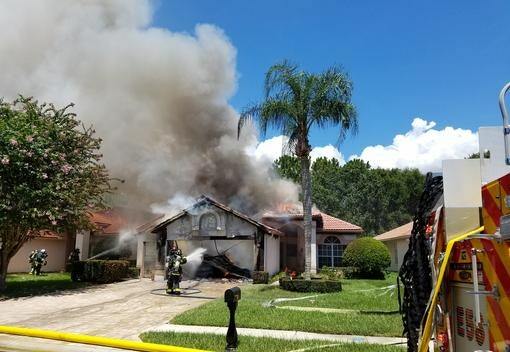 East Lake Fire Rescue, the heroic fire department that serves my hometown in Pinellas county, Florida, provided the invaluable insight into the profession that made this guide possible. I’d like to extend a special shoutout and thank you to them for their assistance and for their daily service to the East Lake community. Read on to find out more about how to become a firefighter. Firefighters display all the coveted characteristics of modern heroes. With the incredible courage and strength required for the job comes the extraordinary responsibilities firefighters possess. “The primary responsibility within this classification is the protection of life and property,” said Lieutenant Matthew Doyle from East Lake Fire Rescue. Areas like paramedics and CPR classes, fire suppression, prevention, and inspections, hazard abatement, vehicle accidents and rescue fall into this area. All of these responsibilities directly relate to the saving of life and/or property from danger, be it fire or otherwise. 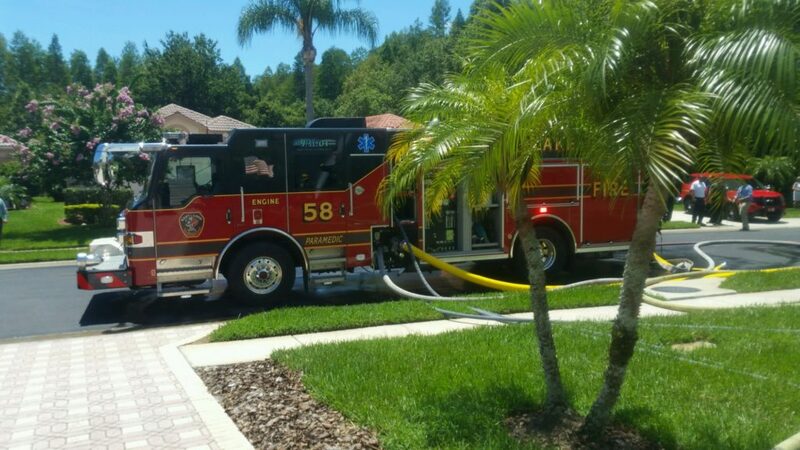 Outside of this, the crew must also maintain their equipment and the fire engine in a safe manner, as well as educate the public about fire and other kinds of safety. This part of the job can be overlooked at times, but safety education lays just as much of a burden on the shoulders of firefighters as any other part of the job and provides just as much value to society. In order to become a firefighter, you must have a certain resilience and strength of character. The process takes time because of the vast scope and importance to the safety of society that the duties of a firefighter hold. “In Florida, you must first go through EMT school, then followed by the Fire Academy,” said Firefighter Robert Hernandez. 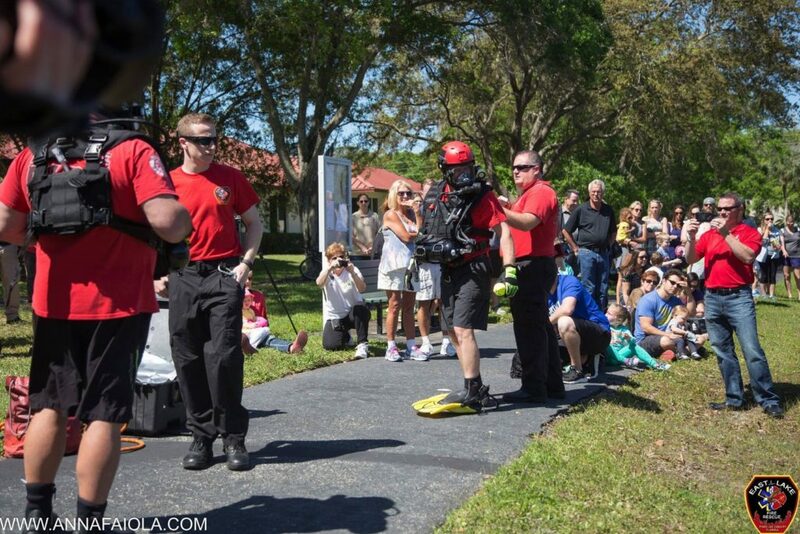 In Florida, EMT school and the Fire Academy together take about 18 weeks to complete. The skills gained during EMT school and the Fire Academy will serve as the foundation of knowledge for the firefighter’s duties, EMT school providing the basis of the firefighter’s medical knowledge and the Fire Academy instructing the firefighters on the nuances and fundamentals of fire safety. However, simply going through the motions won’t qualify you to work. “The job takes hard work, long hours of training and a sincere desire to help others,” said Driver Engineer Amanda Torok, who won ELFR’s 2018 Firefighter of the Year. Being a successful firefighter requires not only a mastery of the required skillset but an outlook of positivity and a powerful, genuine compassion. What you should know about becoming a Firefighter? 1. What income will I earn as a Firefighter? 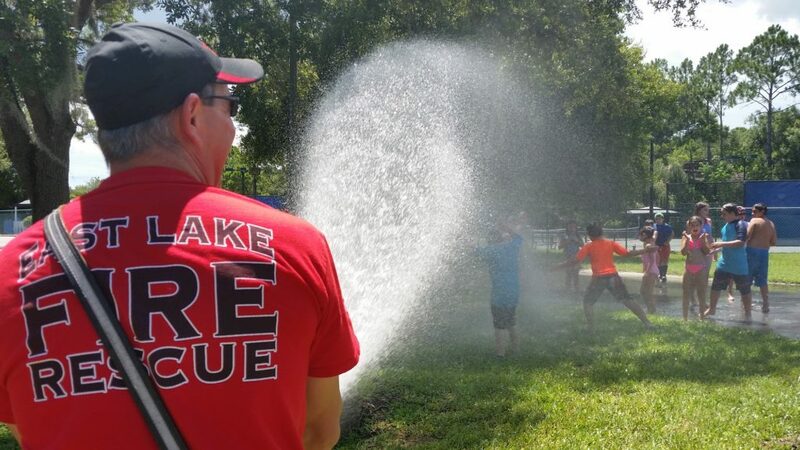 Firefighters in the state of Florida can expect an annual starting base salary ranging from $40,000-$50,000, depending on the fire district. This excludes overtime pay, which should be considered as firefighters often work overtime hours. As a firefighter continues to work and progress, they will see an increase in salary; for the highest Fire Chief position, annual base salary can go up to $150,000 per year. Something else to consider about the profession would be the lure of a pension. “Firefighters are eligible to retire after 20 or 25 years (depending on the fire district) and then receive a pension for the rest of their life,” said Katy Cunningham, Office Administrator. Pensions, while not extinct, cannot be considered common. The additional benefit of a pension for our firefighters just goes to show how highly society values them. 2. How much will I be expected to work as a Firefighter? The standard work week of a firefighter contains 56 hours of work time, divided into a shift of 24 hours followed by 48 hours off. Firefighters don’t take days off because the need for firefighters doesn’t stop with the end of the traditional working day; so, its fair game for weekends and holidays. The need for overtime shifts arises often, since firefighters have lives outside of the station and sometimes need personal time. In certain cases, one could work up to 72 hours straight provided they get at least a 12-hour break prior to the start of their next shift. The fire station itself hosts an incredible “second home” feeling for the firefighters at that station. Having such long shifts together with other firefighters builds a powerful bond, and the East Lake Fire Rescue describes the station as a home away from home. “Fire stations have kitchens, sleeping quarters and some have areas where you can relax and watch a movie with your crew at night,” said Hernandez. The atmosphere of the station, at the same time, sits on a foundation of constant alertness. As soon as they receive a call, the entire on-shift crew must respond at the drop of the hat, transitioning from whatever work or activities they were performing to the precise handling of oftentimes life-or-death situations. 4. What do I need to know about the future Firefighting? The future of firefighting, as a profession, seems to hold increased efficiency and education; however, the job insecurity one might worry about going into a less skilled career doesn’t appear to be a pressing issue. Demands for higher levels of education will be present in the future of firefighting, likely to the same degree that they will be in all professions. As the years continue to fly by, our society tends to accumulate a higher threshold of understanding and a wider base of knowledge. Technology also will race forward in the coming years faster than it ever has. “We have gained new equipment and trucks that are much more proficient at keeping firefighters and the public safe,” Torok said. As technological development has been seen to be increasing exponentially, these improvements will theoretically continue and multiply. The most important skill of all can be found within the heart of a firefighter: their compassion. Firefighters consistently lay their life on the line for the benefit of others. They exist as the true superheroes of the modern age, harboring an intense desire to make the world around them better. Without compassion, a talented firefighter still possesses an incredible intelligence and capacity for action; however, the emotional connection to the job distinguishes a firefighter, willing to run into a burning building to save a life, from the great majority of people. When it comes to the profession of firefighting, physical fitness simply cannot be overlooked. The duties of the job require incredible strength and endurance, which explains why community gyms will commonly be graced by men and women in red shirts seemingly sculpted by Michelangelo. Luckily for the firefighters, when they aren’t out saving lives and improving the community or completing necessary duties around the station, they have free time where they can work on fitness. The fitness of firefighters provides another reason why I think of them as superheroes; watching a group of them enter the gym looks like the trailer for Avengers: Endgame. In the heat of intense situations (pun entirely intended), firefighters must act fast and efficiently. Situational awareness doesn’t exist for these individuals as a luxury that separates the good from the great firefighters; instead, situational awareness can be considered a prerequisite for the job. In the intense training and situations firefighters exposed to in their career, they develop a situational awareness that reminds me, again, of superheroes. Their ability to act logically and swiftly under pressure certainly demands a higher threshold for situational awareness than usually possible. They do it so that we can rest easy knowing they’ll always be there.